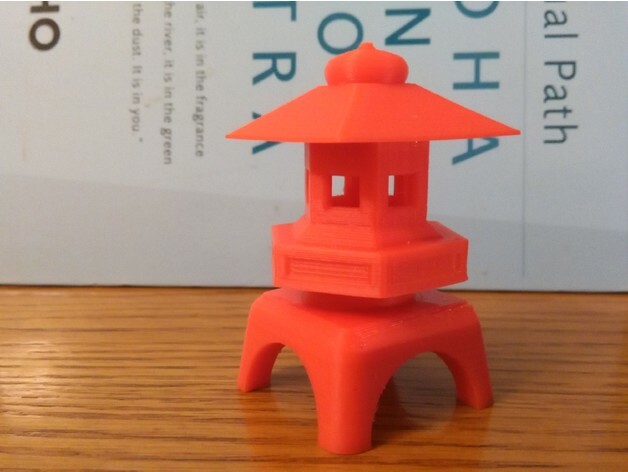 Garden Pagoda #3DPrinting #3DThursday « Adafruit Industries – Makers, hackers, artists, designers and engineers! briver2046 shared this project on Thingiverse! You can print it as it is if you just want a mini pagoda. If you want to put it outside in a garden, you probably want to scale it to larger size so it is easily visible. Print it in pieces and glue them together. No support needed.